Walking, biking and driving up and down Culver Road, on Friday nights and Sunday afternoons we see an often large group of spirited Frisbee players. Who are they? 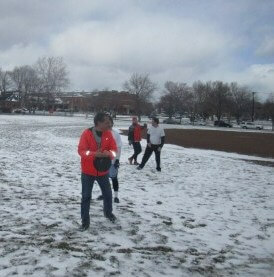 An early spring snowfall or not, for you readers, today I joined the fun to learn more. Wind is not the friend of a frisbee in flight, but it’s still good fun. 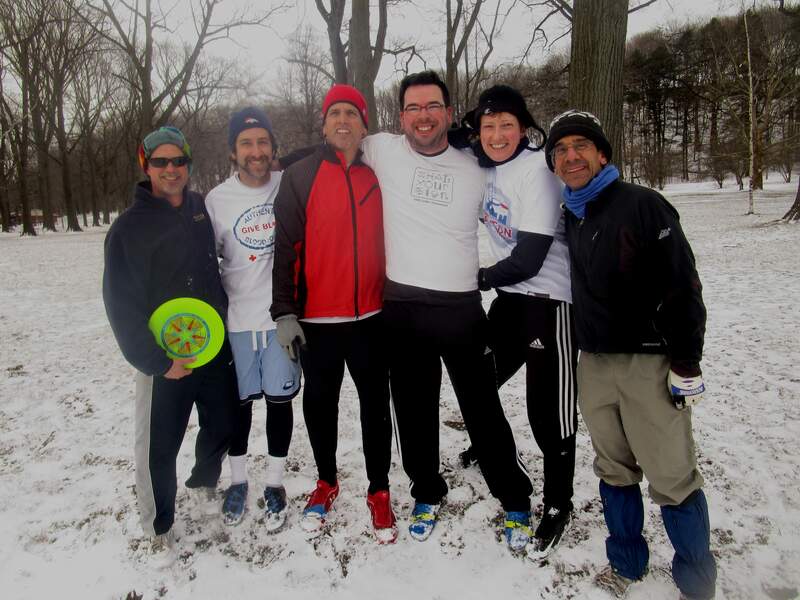 Ultimate frisbee is great exercise and the hilarity of playing in all weather makes it well worth it. That’s why a pickup game of ultimate is played faithfully every week at Cobb’s Hill. Joel Shore has been organizing Cobb’s Hill pick up on behalf of the Greater Rochester Area Disc Association (GRADA) for years. Numbers vary, but the play is always on. 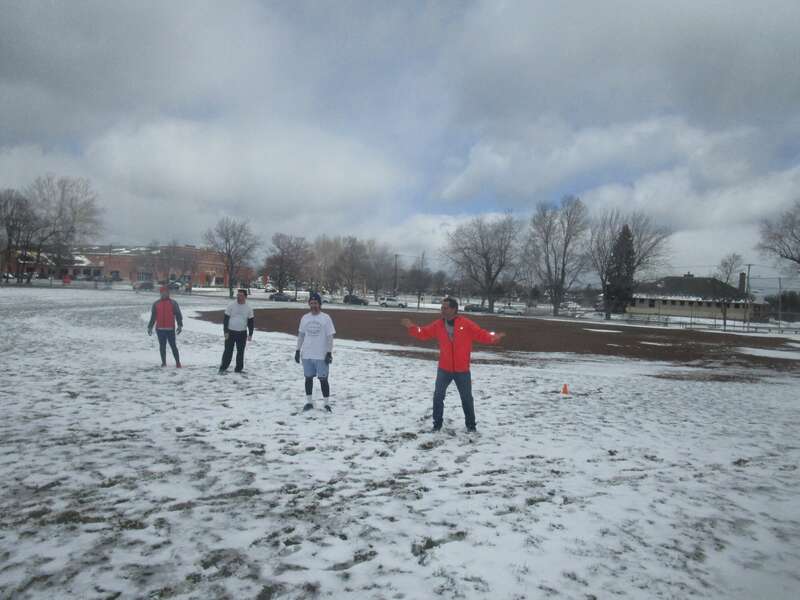 While last weeks balmy temps brought out 40 souls, this weeks snow and 20 mph gusts brought out six undeterred diehards. So regardless of weather, play will continue on 11am Sundays at until late April, when it switches to Friday evenings. 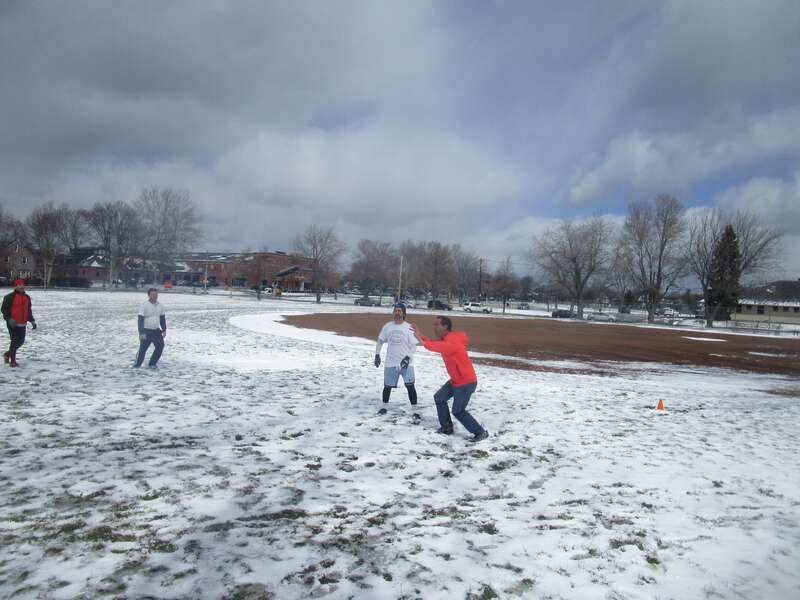 You can keep up on the local ultimate action, including pickup at RocUltimate. All are welcome, including those interested in learning. 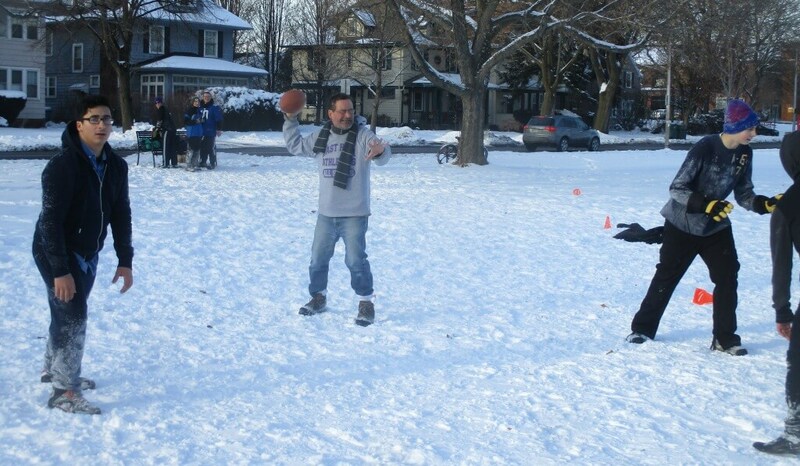 Feel free to jump into a game – you might even score a point on your first time out, just like Disc Dave! As you can see, these game pictures are entirely authentic, live action and unstaged. Who is this masked man, aka Lazerus?